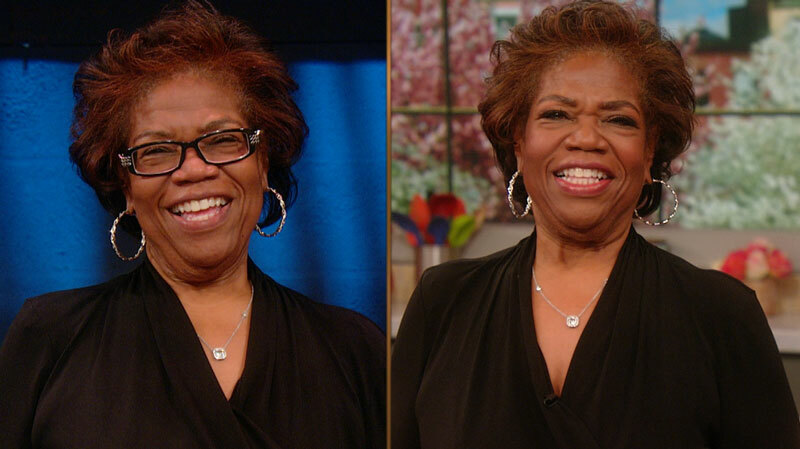 What would it be like to wear makeup for the first time at age 61? Rachael Ray helped a viewer give it a try. "I have not ever worn makeup, my mother didn't wear makeup, natural was the name of the game in my family," says retired schoolteacher Anita Booker. "I never saw the need to do it, not even for my wedding day!" But since losing about 100 pounds, the Willingboro, N.J. grandmother is beginning to change her mind. Her husband, Harold, is also retired and she is eager for them to have a fresh start in this new stage of life. "Our 41st anniversary is coming up very soon, it's time ... to enjoy each other more, and a part of that is going to include taking care of me," she says. "The makeup is just going to add another part of the glamor." Ray introduces her to actress and salon owner Stephanie March, who recently opened a makeup salon called Rouge New York. She treats Anita to a new face, with tips for applying her mascara, eye makeup, and the rest. The 'after' look is a welcome change for this woman. "I feel amazing!" says Anita. Thrilled with how it looks, she adds, "It's going to be me, only better!"